I mentioned several months ago that pink is the new mint. I was correct–even more so than I could have imagined, considering the pink coat trend seems to have spread like wildfire–but I could have gone one step further to say that pink is the new everything. The pale, bubblegum shade of red’s more demure cousin was the star of the winter pastel trend, and sure enough, the color isn’t disappearing anytime soon. Ubiquitous shots of girls in Pepto-pink coats at New York Fashion Week and retailers such as Asos and Whistles sending email blasts and procuring blog posts urging customers to jump on the blushing bandwagon are evidence of that. 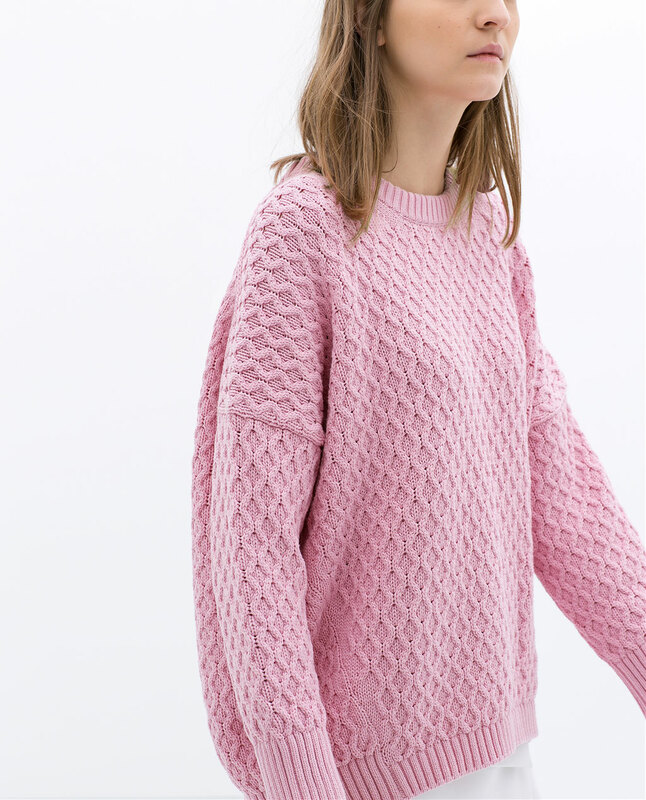 Not to mention that when I tried to buy almost anything pink from Zara’s new collection (ahem, this perfect oversize cable knit), it was either out of stock, backordered, or available for pre-sale. 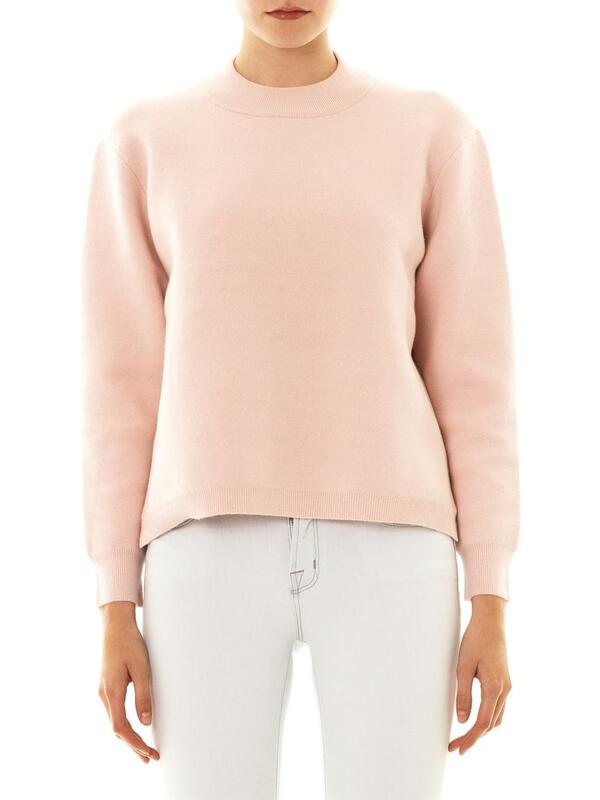 And don’t even try to get your hands on any staple Acne knitwear in pink, like the brand’s Misty sweater shown above. Pastels aren’t anything new for Spring, so I still prefer to carry the color in heavier pieces–tailored trousers, heavy knits, and wool coats. It’s a lovely/stark contrast to the dark, harsh winter. You know, the ones they have in parts of the country that aren’t Los Angeles. Moreover, the innate (socially sanctioned) femininity of the color makes it a lovely addition to balance a menswear-inspired or sporty outfit. 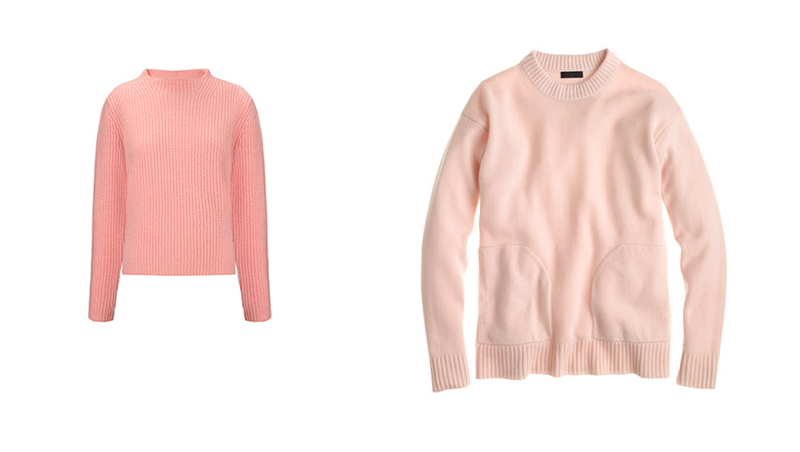 Alas, spring is fast approaching, and pale pink has proven it’s a color for every season.